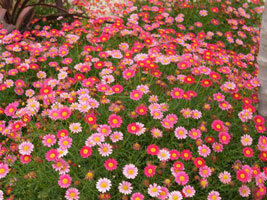 Dill daisies (genus Argyranthemum) are a group of flowering plants belonging to the family Asteraceae. Members of this genus are sometimes also placed in the genus Chrysanthemum. 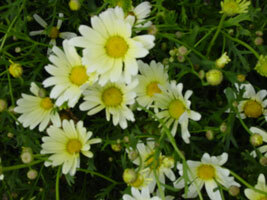 There are over 20 species of Argyranthemum coming from the Canary islands and Madeira. 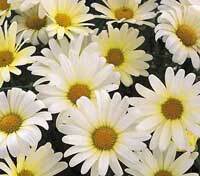 They used to be included in the genus Chrysanthemum, and are commonly called "Marguerite". 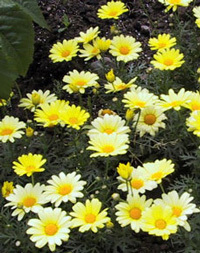 Most Argyranthemum encountered in the nursery business are cultivars. They are abundantly used by the florists either as cut or as potted flowers.